Yvan Cohen has been photographing in the Chinatown district of Bangkok for some 6 years now – visiting once or twice a week, mostly at night. The project doesn’t have a clearly defined starting point because he didn’t plan to document Chinatown; there was no initial goal and no assignment. He was simply drawn to an area that he found visually inspiring because it felt genuine, it felt evocative and it felt connected to the past. 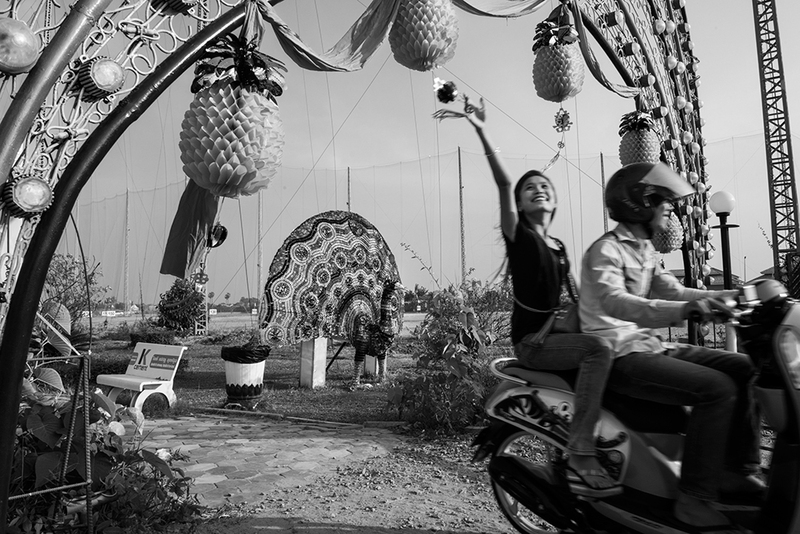 For anyone who knows Bangkok – or at least has an image of the city in their mind’s eye – they will know from his pictures that the districts he has been photographing represent a neglected facet of this metropolis. The typical caricature of Bangkok is a city of exotic temples, gleaming skysrapers, steamy bars, saffron-clad monks and eternally smiling inhabitants. Yet while much of Bangkok’s appeal is derived from these images of oriental exoticism, the reality is that many local communities and numerous historic buildings have already been devoured by rapid and unplanned development. The Bangkok of the postcard and the travel brochure is fast disappearing. It is precisely Chinatown’s connection to the past, its anti-modern identity and its sense of culture, ancestry and tradition which draws him to it. Chinatown and a few other districts remain islands of authenticity where you can still catch glimpses of what life would have been like in this city decades, or perhaps even a century, ago. The pictures don’t carry a message per se, they don’t document a burning issue but they are a testament to an aspect of this city’s identity which is increasingly threatened. One day, perhaps not too far in the future, these pictures will serve as a visual bridge to the past and as a poignant reminder of a history and of an identity that risks being completely erased. A video portrait by Bangkok based multimedia journalist Bradley Cox of photographer Yvan Cohen in Bangkok’s Chinatown district from his occasional series “Long Story Short”. Long Story Short – A Photographer in Chinatown from Bradley Cox on Vimeo. Yvan is a founding member of LightRocket, a cutting edge online service for photographers, including secure backup, customizable websites and direct sales. After honing his passion for photography in Europe, Yvan arrived in Asia in 1991 where he has been living and working as a photojournalist ever since. Yvan’s assignments have ranged from shooting fashion in Bangkok to covering major political and social stories across much of Asia. Fluent in English, French and Thai, he has worked regularly for a range of international publications including, Time, The Far Eastern Economic Review, The Australian, the New York Times and L’Express. Yvan was also a former photographic correspondent for AsiaWeek Magazine. In the beginning there was sand. And many castles in the air, but they were still hidden. Koh Pich was like a bucolic pocket close to the city, an excursion goal for my Sunday afternoons. It was bare and raw, and gifted with a lot of shore where I could contemplate why I was not going to the sea. This images were taken between early 2012 and March 2015, but my first visit was in 2009. It is as distant as a childhood memory. The first constructions, like Elite Town, already look outdated compared to the serious, Singapore-inspired buildings that are under construction these days. There used to be a water park, but only the dilapidated gate remains. A brand new ruin. Koh Pich might seem weird or exaggerated, but in fact it is just a perfect mirror to where our society is heading to. It may be a completely artificial place, but there is a mix of recklessness and naivety that you encounter so often in this part of the world. It is not as weird as one imagines at first sight, it is just less hypocritical; people want to have fun and money, period. One could write long analysis about the names of the streets. Elite Road, for example. Or the last housing society ‘La Seine’ which wants to refer to Paris, to its luxury and lights, but nevertheless refers as well to the ex-colonialists. You can also find Harvard, Princeton or Yale road, and it is scary to imagine that most of the people are not aware of the total irony of those names. Dave Tacon has focused his lens on the glossy decadence of Shanghai, which is undergoing a boom in wealth and self-indulgence not seen since the 1930s. Dripping with diamonds, and partying to excess, the young elite of Shanghai is shown dancing the night away in nightclubs that they were previously banned from entering. “I suppose I’m attracted to cities with bad reputations,” says Dave. “Before I first visited Shanghai in 2010, I read the book Shanghai: The Rise and Fall of a Decadent City by Stella Dong. This inspired me to see if there are any connections between the hedonistic Shanghai of the past and the Shanghai of today. Most of Shanghai’s luxury nightlife still takes place around the Bund, the city’s historic waterfront built during a century of colonial rule. By the 1930s, the swampy port of Shanghai, divided into British, French and international concessions – each exempt from Chinese law – had grown into one of the world’s most famous skylines. It was largely built with drug money from the opium trade, and the price paid by the Chinese was humiliation and exploitation. Dave’s extensive collection of images seems to capture the bygone era of debauchery, and mingles it with today’s celebrations of excess. Bright bubblegum colours and reportage-style captures of fleeting expressions make the viewer feel as if they are glancing into worlds within bubbles – frozen moments of nightclub frenzy. But the challenges of taking the photos were many. Dave’s images can also be seen at The Lost Ones Gallery between August 22 and September 20, 2015. 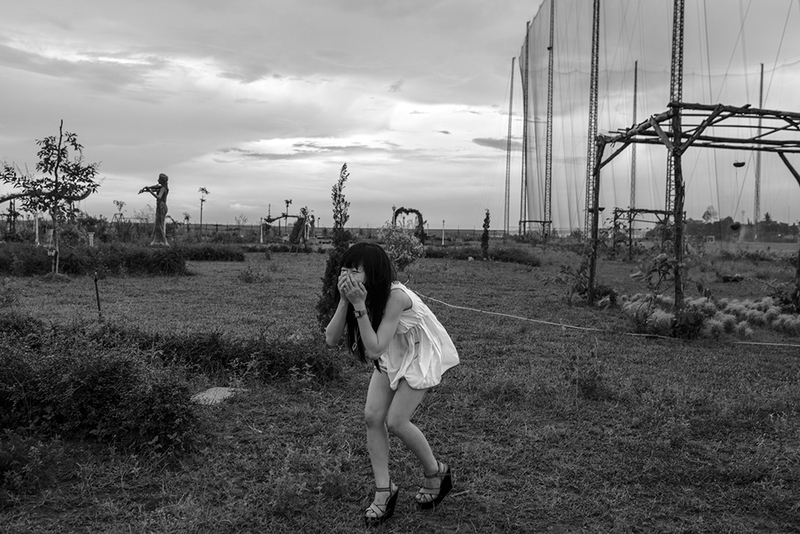 Dave Tacon is a Shanghai-based photographer and writer. He is the 2012 winner of the Walkley Award for Best Freelance Journalist of the Year and a two-time finalist in Australia’s National Photographic Portrait Prize. His work has appeared in such publications as Rolling Stone, Newsweek, Wall Street Journal, CNN, Al Jazeera. GEO, Stern, Der Spiegel and many more. He is available for assignment throughout Asia. Between the 1950s and 1994, tens of thousands of immigrants constructed a towering community 12 stories high across a 6.4-acre lot in Hong Kong. 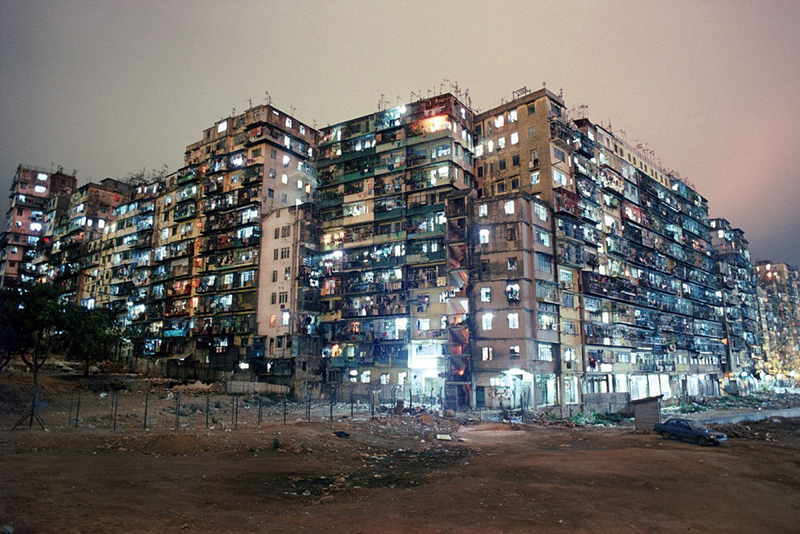 It was called Kowloon Walled City. With a population of 33,000 squeezed into the tiny lot, the city was 119 times denser at peask than present-day New York City. Although it faced high levels of crime and poor sanitation, the city was also impressively self-sustainable — until its demolition in 1993. In the late eighties, Canadian photographer Greg Girard found his way into the windowless world. 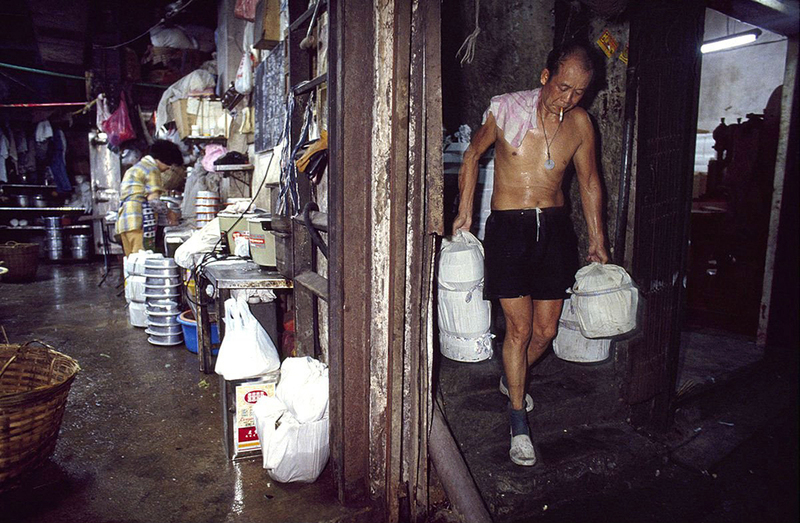 Greg Girard is a Canadian photographer who has spent much of his career in Asia. 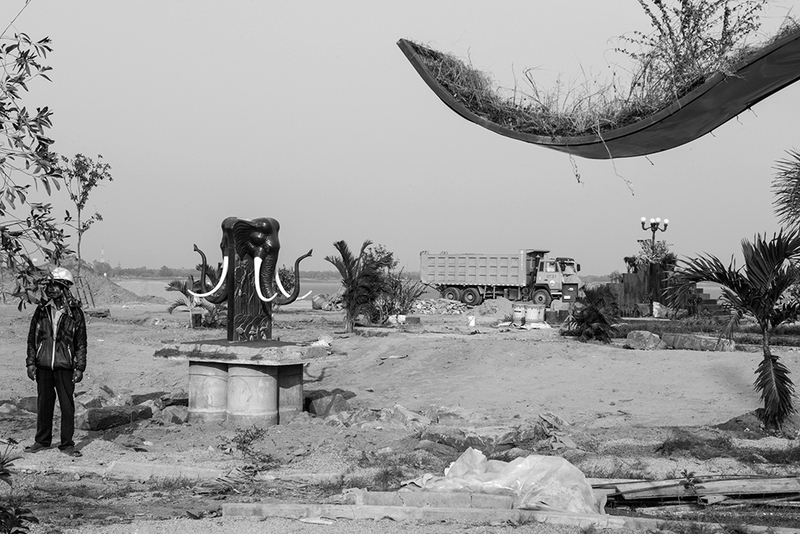 His work examines the social and physical transformations taking place throughout the region. He is represented by Monte Clark Gallery (Vancouver/Toronto) and also works on assignment for publications such as National Geographic Magazine.